You know the festive season is almost here in India when you are surrounded by the ads of Flipkart and Amazon online sales and the newspaper starts becoming bulky again with all the added pages full of advertisements. I believe, festive seasons across the globe share a few universal traits – gifting good food, family time and new clothes. They also are all prone to commercialization, tending to make us forget the real reason why the festival even came into the picture, leading to financial perils like splurging, going over budget or even credit card debt. 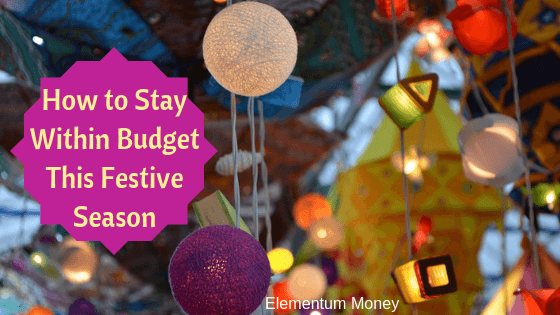 Last year, I gave 7 tips as to how you could stay within your budget in the festive season. 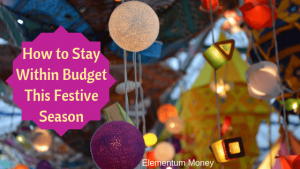 This year, I decided to get help from some other Personal Finance blogger friends from across the world to give us their thoughts and tips on how you could stay within your budget in this or any of the future festive seasons. I found it very useful and I hope you do too. If you want to visit the blogs of any of the contributors, just click on their name and you will be there. 2. I write what I will buy (with an alternate option in case I can’t find it) and stick to these items. Nothing else! 3. I put a budget amount with each item. No impulse shopping! 1. Create a separate account for your holiday expenses: You can add to the sinking fund (Fixed Deposit or Recurring Deposit in India) throughout the year. As an added bonus, you can set a target goal in mind when you set the account a type of built-in budget. 2. Reuse and repurpose: Often times, holidays require us to buy new things. Question that. Do you really need to buy a new outfit? Does your whole family? If things can be reused from time to time, your wallet and the environment will thank you. 3. Remember the purpose of the holiday: Connect with family and friends. Savor the small moments. If it doesn’t come with a price tag, it’s probably priceless. 1. Get comfortable saying no, to yourself and to others. It’s a powerful defense to overeating and overspending. 2. Set a spending budget and then use cash instead of credit cards when shopping to stick to that budget. 3. To not overindulge in eating, save your calories for foods you truly love and savor just a few bites. Do not feel obligated to try a taste of everything and drink plenty of water in between bites and any alcoholic drinks. 1. Be sure to save what decorations you can from prior years – and don’t be afraid to buy after the holiday for next year! 2. Don’t go overboard. Celebrating any holiday can get expensive, but it can also be cheap! You just need to focus on the parts most important to you. 3. Don’t keep up with the “holiday joneses”. That is, don’t feel like a holiday needs to be a competition about who can celebrate it the best. 1. Consider agreeing to not exchange gifts with friends and family. You know you love each other, do you really need expensive gifts you and them probably won’t use? 3. Go on Pinterest and find some DIY decorations or recipes to bring out your creativity and save money that way. Consumerism is rampant during the holidays. Sophisticated marketers with billions of dollars on the line target us on our phones, computers, and televisions. They know how to make us feel guilty for not providing a picturesque holiday or buying our child or spouse the perfect gift. But holidays are not about how much money we spend or making our home look like a catalogue. The most important part of the holidays is experiences, traditions, and family. We get to slow down and spend quality time with the people we love. I remember my grandma coming to visit and snuggling with us on special holidays, my mom and I going to a farm together to get special pies, and my wife and I joining our friends last year on their special holiday tradition. Keep your family and traditions as the focal point of your holiday. Let the marketers spend their money but not manipulate you into spending yours. 1. Save year-round. I save a little money every month and by the time I need to buy gifts, I have been saving all year for it and it doesn’t hurt my budget. 2. Focus on spending time, not money. I’d rather spend quality time with family and friends over a fantastic homemade meal than focus so much on buying and exchanging gifts, and accumulating more things that I don’t necessarily need. 3. Quality and thought over quantity. You can make or buy things with special meaning for those you care about without going over budget. Instead of buying several expensive and nice but unsentimental items, try finding one smaller, special gift that reminds you of that person or, if you’re creative or have a special talent, even making them something they will cherish. 1. You know it is coming, so sit down and start saving a small sum every week at least a few months in advance. 3. You can save a lot by making homemade gifts. Food is always popular – especially if you have a special recipe everyone covets. Whether festival season in India or Christmas in the United States; It is easy to go over budget when you interweave love and caring with gift giving. Bestowing a gift, as a way to show your love for someone goes back to the dawn of mankind. I imagine hundreds of years ago, you might pick a bouquet of flowers or carve a novelty out of a piece of wood for your wife. In the modern era, you no longer craft gifts, you buy them on credit. A silky smooth merino wool sweater or a shimmering new iPhone for your loved ones are the more modern approach to saying, I love you. 1. Create A Plan: Write down the list of the people you will be buying gifts. Create a list of possible gifts and start shopping for sales. Writing down your plan will give you an outline and help you stay in control of your spending. 2. Track Your Spending: Keep track of how much you have spent. After you have bought a gift for your loved one, write down the cost and update your plan. This is especially important if you are buying multiple, small, low-cost gifts for the same person. It is easy to lose track of what you have already spent. A sure-fire recipe for overspending. 3. Pay With Cash: I hear stories of people that buy gifts on credit and a year later they are still trying to pay off the credit card. If you can’t pay cash for the gift, you can’t afford it. If you have little or no money, try giving an experience such as a walk in the park or an evening of watching the sunset. These experiences are often free or low cost and the memories can last a lifetime. 1. On gifting – If you want to give gifts, but are on a tight budget, think about how you can use the gift of time or experience instead of a purchased item. Some of my favorite gifts are experiences – a friend cooking a wonderful meal or special time spent together learning a skill together. I argue that these are more meaningful since they can’t simply “be purchased” and require you to really know your gift recipient! Donate in lieu of some gifts – There may be some people in your life that are passionate about different causes – educating girls, conserving natural spaces, supporting LGBTQIA communities – for these folks, offer to donate to a cause of their choosing. While you still need to spend your hard-earned money, you’re investing in their passions and helping important causes at the same time. 2. Set a firm budget – Times of celebration can encourage over-indulgence, with tiny gifts and expenses adding up to a substantial cost. I recommend setting a firm budget during holiday seasons and tracking every single expense. A simple note on your phone, notecard in your wallet, or financial app on your phone can help you do this. Unsure how much you should budget? Look at your bank account, and set aside only what you can comfortably afford without sacrificing other financial goals. 1. Choose Unique Instead of Expensive: The problem with buying gifts from big box retail stores is that everyone knows exactly how much it costs. Instead, shop local and find unique gifts from people creating handmade goods. There are always an influx of markets and craft sales during the holidays so visit a few of those. I’ve always had good luck finding something unique and affordable, and they often turn into the most loved presents. 2. Eliminate Expensive Wrapping Paper: Wrapping paper, ribbon, bows, and greeting cards are crazy expensive, wasteful and unnecessary. Even worse, a lot of wrapping paper isn’t recyclable so it’s going straight to the landfill. Instead, use an alternative. You can buy a huge roll of brown kraft paper for $20 and use it to wrap for any occasion. Too plain? You can fancy it up with a couple of festive stamps or make it a fun project for kids. Give them a pack of crayons and let them draw all over it. The grandparents will love it! 3. Sign Up for Email Promotions: Usually, I recommend unsubscribing from promotional emails so you aren’t tempted to spend money when you don’t need to. However, if you’re looking for a specific gift, then signing up can you score you extra discounts. Before you buy something online you should always do a search for available coupon codes and check to see if the companies email list gives you a money off. 1. One main one I can think of right now is gifting food/snacks from your specific region when visiting relatives in a different region, instead of gifting material things like clothes, wine holders, or anything miscellaneous like that. I remember one Christmas my mom spent more than $50 per person to give me and my siblings each a cuckoo clock…sadly, we felt bad throwing them out but we all did, because we would never have used them. She worked hard to save money to give them to us but at the end of the day, good intentions aren’t worth the money spent on stuff people are never going to use. So now, we agreed as a family to pull together the money we would have spent on things like these, and instead go and have a good family outing. Like watching movies and eating out for the holidays, etc. it’s the experiences and memories that get richer over time, whereas most material objects lose their value, collect dust, and create clutter in our rooms and in our lives. 2. Make sure everyone is drinking plenty of water during the holidays. If people are traveling, there’s a lot of stress. If you’re dehydrated, the cells in your body are even more stressed, making your overall body and mood feel more stressed. 1. If I have a good pair of clothes for the day, I wear those. For me its about dressing up without the need to buy new clothes. 2. I think with food, people make so much that it takes a few days to finish. I would cut down on the amount of ‘sweets’ as after the day of festivity I get a bit put off by eating more sweets. I would look back on previous festivals and look at cutting back on that. 3. Barring that, enjoy the day. Festivals tend to have a meaning. Celebrate the meaning more than following the fashion of going crazy on everything (which tends to go against what most festivals are about) ie boxes of the latest fireworks. 1. Make a list of everyone you plan to give to. Is there anyone on your list that you don’t need to give a gift to? My friends and I do not give gifts to each other, but instead make a date to go for dinner, get our nails done or just spend time together. We don’t need to budget it into the holiday time because we usually go in the new year, and we make memories instead of guessing what the other wants. 2. Some people, like teachers or bus drivers, get the same things every year, and might enjoy something homemade. Think about homemade goodies, a hand-crafted item or a mug filled with candy, or even something as simple as a bottle of wine. The holidays are a time for a lot of hosting people, and a plate of goodies or a bottle of wine is something that is sure to be used and appreciated. 3. Use your rewards programs to subsidize your gift giving. Many loyalty cards or credit cards collect points that you can redeem into gift cards, or give you credit at a store. Think about using your rewards to help pay for gifts that your recipient would use and love. My one rule for gift giving is to give something useful. If it’s something that looks pretty on a shelf, the recipient may not enjoy it as much as you did giving it to them, and therefore creating gift guilt. If you give a usable item, like a gift card or edible gifts, you can be sure that the recipient isn’t feeling guilty about displaying a gift that may not be just right, and it’s a great idea for those who have started downsizing or minimizing their collections. 1. Your kids will be fine without gifts. We never got gifts growing up. I am not scarred and I visit my parents twice a month. 2. Visiting family/friends is worth the cost but don’t beat yourself up if you can’t afford one holiday. 3. Most people don’t make an affirmative choice on how to celebrate their holidays – they do what everyone else does. Once you figure out what you really want and stick to your guns, you’ll have a much better holiday. 1. Set a budget. Make a list of what you need, plan ahead, save ahead, and stick to the budget you set. 2. Make homemade food and gifts. Making food and gifts yourself not only saves money, but it’s more personal and, typically, higher quality then store-bought items. 3. Remember it’s not about the food and gifts, but about spending time and celebrating with people you care about and love. The first step to not going over budget is to have a budget to begin with. Therein lies a dilemma – how do I decide how much I can spend on the festive season without breaking the bank? Ideally, you would have planned this right from the start of the year. For instance, when I receive my income every month, it automatically gets divided into different accounts – one account that automatically pays all my bills (rent, utilities, phone, internet), one account which are savings for investments, one account for long term savings and finally, an account for travelling and splurging (that’s right – we should all splurge within limits on things we love the most! 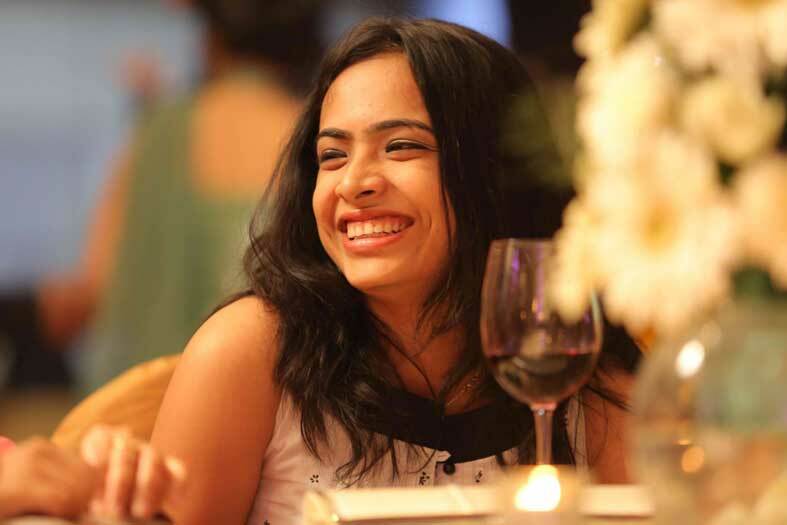 ), an account for emergency savings and lastly, an account for spending on things during festive seasons. The account with savings for festive seasons has a debit card linked to it. Hence, come festive season time, I spend using that debit card and if you’ve already spent all the money in it, the card will decline future transactions. 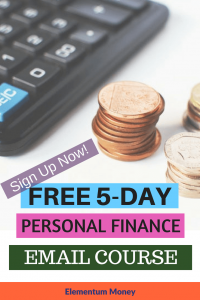 This way, you don’t have to manually keep calculating how much you’ve already spent over the last 2 weeks and how much you can spend over the next 3 weeks. But what if you’ve not been saving throughout the year for the festive season? Well in that case, you’ll have to set aside more money from this month’s income for the festive season. You know your income and you know your fixed expenses like rent/mortgage, groceries, insurance, utilities etc… From the balance, set aside a fixed amount (e.g.) 25% to spend on the festive season. Then transfer that money to a separate account and link a debit card to that account so you can put all your expenses on that account. That way, once you’ve used up all the money, the card will decline future transactions which will stop you from overspending. 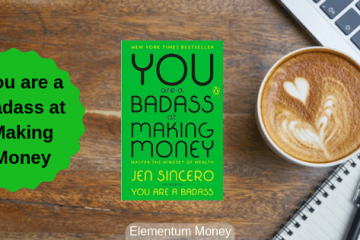 Because let’s face it – none of us want to maintain detailed spreadsheets of every single expense and constantly check it to see whether or not we are within budget. The key is therefore to set up a system whereby you can focus on spending and let the system warn/stop you once your budget has been reached. 1. Track your expenses. Use your bank statements, credit card bills, etc. to find that information. Then use a tracker to find out how much you spend per month, on average. Some people use applications like YNAB, Mint, or Personal Capital. You can also use a budget spreadsheet if you prefer. 2. Once you know your expenses, be sure you aren’t spending all of your income every month. Instead, put some away into investments (after fully funding an emergency fund). You should aim to save at least 15% of your income, but you can never save too much! 3. Credit cards can be a nice way to earn some extra perks and rewards, but try to avoid using credit cards to spend beyond your monthly income. That is what causes credit card bills to stack up, and interest rates on credit cards are very high. I am sure you found these tips useful and can’t wait to put them into action. Also, don’t forget to hop on to the blogs of our contributors as they have much more value to share there as well. Let me know what you think of this in the comments below. Prev Post How To Reduce Your FOMO (Fear Of Missing Out)?